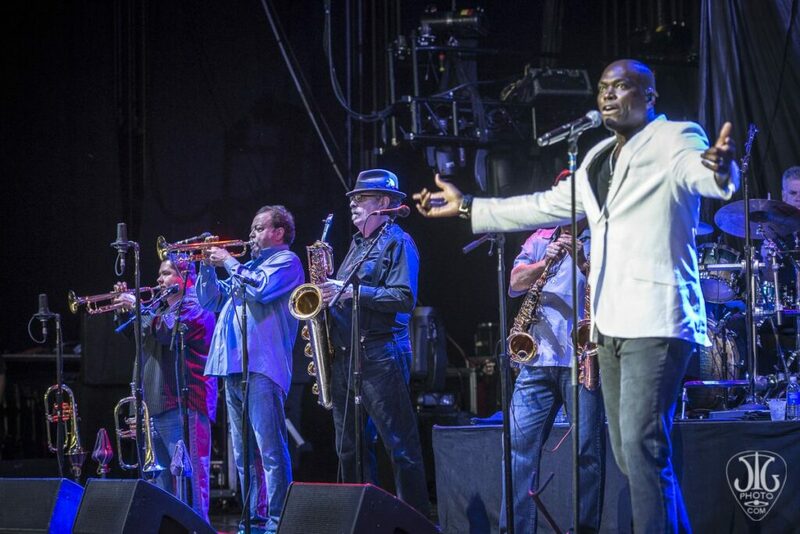 When Tower of Power took the stage, the amphitheater was still empty. The tailgating crowd outside didn’t quite understand what they were missing. 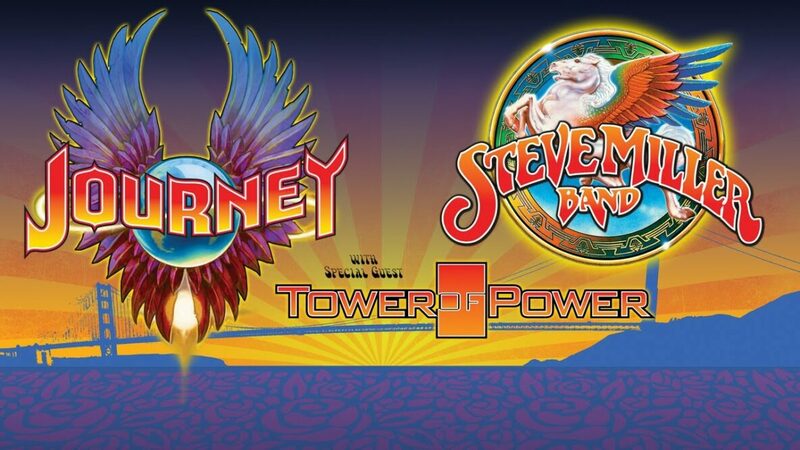 While Tower of Power isn’t a household name like Steve Miller or Journey, their talents are definitely on par. The smart music fans were already in their seat when the show started and were blessed by waves of talent and soul a mile deep, drowning in goodness. Hits like “Soul Vaccination” and “What is Hip?” got even the band’s newest fans on their feet to feel the soul power overtaking Saratoga Saturday night. Equipped with a new lead singer, Ray Greene, and the traditional line-up of saxes, trumpets, trombones, along with a solid backline of drums, guitar and bass, Tower of Power brings the energy and great music every night. After a short break, the Steve Miller Band came out to a setting sun and a growing audience. Steve Miller sang all the classics, “Take the Money and Run”, “Abracadabra”, “The Joker” and more. Fans of all ages sang along with the master of his craft. Four generations were equally represented as it was GE’s Kids Night and youngsters under 12 got in free with an adult ticket. Even after nearly 50 years on stage, Miller brought lots of energy and even had a run-in with a bunch of released balloons. He tried (and failed) to pop a couple, but did manage to kick a few out of the way. It was all in good fun and the smile on his face and the crowd was a good indicator of the success of the evening. Originally a blues man, evident by his tremendous skills on the harmonica and soulful voice, Miller delighted the crowd. With songs dating back nearly 50 years (“Space Cowboy”, 1968) and majority of success in the ’70s, Miller continues to make great music. 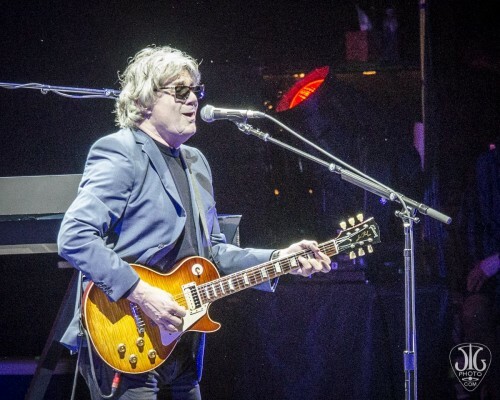 It was a rare summer in the ’80s or ’90s when the Steve Miller Band didn’t grace the SPAC stage. By the turn out, many loyal fans were glad to see him back. 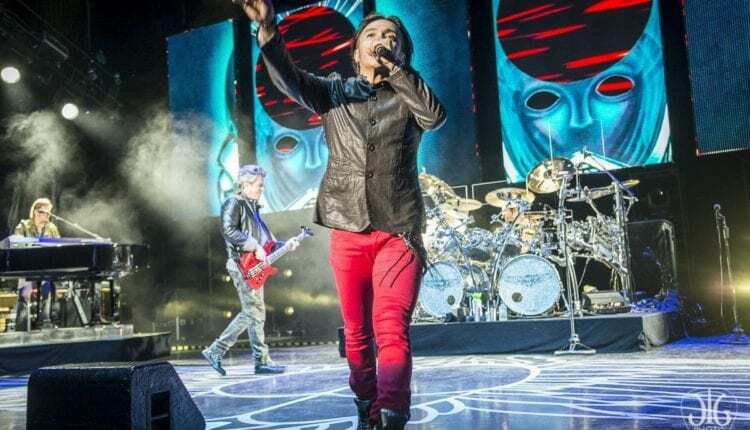 Journey’s lead singer since 2008, Arnel Pineda, with a haircut and a shave since the last time at SPAC, came out with so much energy it was intoxicating. Last time Journey played SPAC, Pineda looked more like an Elvis impersonator than the lead singer of the legendary band. If served as a distraction to many, but this time around, it was all about rock ‘n roll and delighting the fans. Thousands packed the full amphitheater and even more fans were located out on the famous SPAC lawn. The sound was spot on and while standing by the soundboard will typically give you chills at most venues, at SPAC it is truly magical. SPAC is the prize of Upstate New York concert goers and it is no wonder why so many musicians list it as one of their favorites to play. Jon Cain (piano) talked about writing the song “Faithfully” on a bus ride to Saratoga Springs in the early 80s. He worked on the song into the night and finished it on a napkin in the morning over a cup of coffee. He played it for the first time every on one of the pianos backstage at SPAC. When “Don’t Stop Believin’” started, no one was still sitting at this point. Confetti cannons exploded and the place erupted into song. Everyone was singing in unison swaying left to right; people were even singing with new friends they had just met that night. To the left, right and all around. It was a truly electrifying moment. There was a very short break and then the “Lovin’, Touchin’, Squeezin’” encore and barely anyone headed for the doors until it was over.